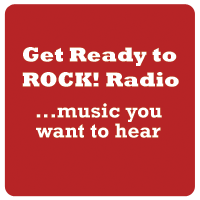 Magnum feature in our melodic and classic rock sequences. Magnum have been making music since the early-1970s, first as a covers band playing the Birmingham club circuit. Although they made a single for CBS, ‘Sweets For My Sweet’ in 1975, it wasn’t until 1978 that they released their first album signed to Jet Records. The band’s greatest period of success came in the 1980s, with the release of ‘A Storyteller’s Night’ and their signing to Polydor in 1985 for whom they produced three studio albums. The band’s fortunes wavered after being dropped by Polydor, and by 1995 they had announced their farewell tour. 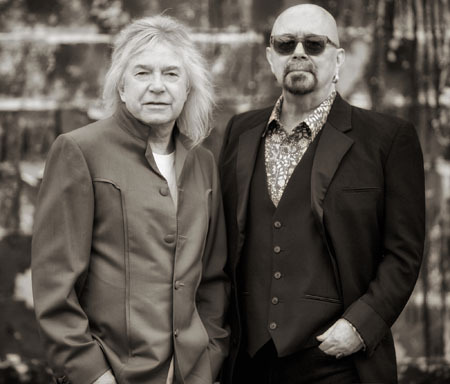 In spite of this hiatus, the core of Tony Clarkin and Bob Catley produced two albums as Hard Rain before deciding to reform Magnum in 2001, this time with Al Barrow on bass and Harry James on drums. Together with longstanding keyboard player Mark Stanway this formed the band line-up until December 2016 when Stanway announced his departure. The band have produced eight studio albums since their reformation, mostly replete with Rodney Matthews artwork. Matthews created the band’s most memorable sleeves from ‘The Eleventh Hour’ (1983) onwards. Magnum’s 2011 album – ‘Evolution’ – marks the past 10 years, not least with the SPV label, and includes re-recordings of previous tracks along with new material. Magnum celebrated the 40th anniversary of their formation in 2012 and to coincide with our own (10th) anniversary the band were nominated our Ambassadors for 2012. This led to a series of special programmes broadcast throughout that year, including an introduction by rock writer Malcolm Dome. Bob chats to David Randall about Magnum with tracks from his solo albums, Avantasia, Magnum including the new album released in January 2017 ‘The Valley Of Tears – The Ballads’. On the eve of the release of Magnum’s latest album David Randall looked back over the past decade. Based on a 2011 interview with Bob & Tony, charting the band’s revival in fortunes. David Randall followed the band’s progress and split in 1995 and their re-invention as Hard Rain prior to their full-blown reformation in 2001. Featuring music from ‘Sleepwalking’ (1992), ‘Rock Art’ (1994) and their live swansong ‘The Last Dance’ (1996) plus the two Hard Rain albums and a dip into Bob Catley’s solo debut in 1998. The third in our Magnum specials to celebrate the band’s 40th anniversary features an archive interview from 1992. Long-time Magnum watcher Malcolm Dome introduces our 2012 promotion with a wealth of reminiscences, and in the second (sacred) hour our recent interview with Bob and Tony on the eve of the band’s 40th anniversary.